Deathly Hallows | Expecto Patronum! DH2 covers my favorite half of my favorite book in the entire HP series. 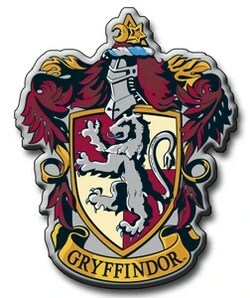 We have the heist at Gringotts, the trip into Hogsmeade, the Battle of Hogwarts, the dip into the Pensieve, Harry’s walk into the Forest, the final duel with Voldemort, and 19 years later. 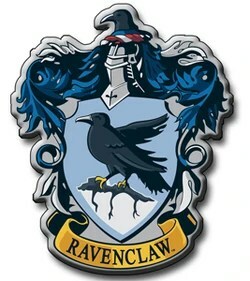 This spare musical theme plays over the opening title, drawing us into a Hogwarts surrounded by Dementors while a solitary Snape overlooks regimented rows of Hogwarts students marched grimly into the courtyard. 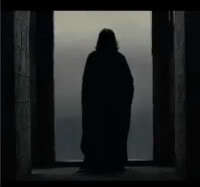 Headmaster Snape – one of the “abandoned boys of Hogwarts” – oversees a Hogwarts that is no longer his, but Voldemort’s. The woman’s voice rising above the drone on the fundamental tones = Lily’s. Her voice serves as the music of Severus Snape’s soul – his inspiration, the thing that keeps him going despite the darkness surrounding him. And it connects him with Harry Potter, Lily’s son. 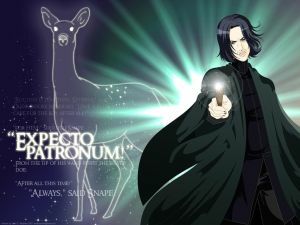 In Snape, the Lily theme resembles the echo of a memory, but a memory very much alive inside him. When the lush, full-bodied string section picks up the theme at Dobby’s graveside, though, we see the theme’s full embodiment in Harry. 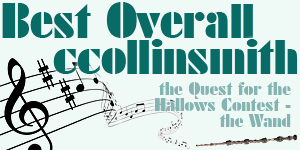 Lily’s voice returns, growing stronger as Severus Snape slips from life. And her voice again marks Harry’s victory over Voldemort, a victory set in motion by his mother’s sacrifice. There is an inexpressible quality to all of this. The effect cannot be captured in words – at least not by a writer of my own meager skills. And the movie has inexpressible moments like this in abundance – that stark opening, Snape’s demise, the Pensieve memories – all underscored by Alexandre Desplat’s powerful, often impressionistic score. This is why it has taken me this long to write about this film. I do analysis, but how do you catch hold of and dissect these moments of the sublime? I shall attempt to come down to earth in my next DH2 post and just talk about what I liked and didn’t like… and then why the filmmakers may have made some of the choices they made. Until then, I hope you enjoyed the music I linked to in this post. It truly sets the mood for much of this film. Well, I’m just returning from my Easter holiday. I will resume posting on the re-read in a day or two. 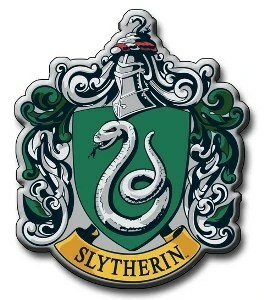 We’re on “The Sorting Hat” chapter in PS/SS. 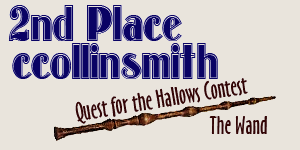 In the meantime, I got the banners for my entry in the Quest for the Hallows contest. The next task (the Resurrection Stone) will be a bit more difficult for me, I think. We’ll just have to see how it goes!